We’d love your help. 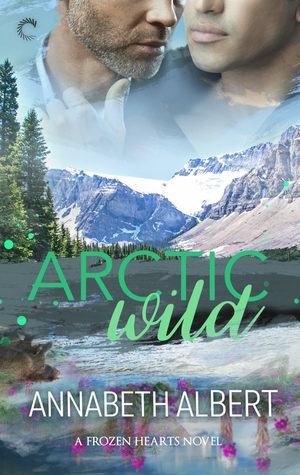 Let us know what’s wrong with this preview of Arctic Wild by Annabeth Albert. Hotshot attorney Reuben Graham has finally agreed to take a vacation, when his plane suddenly plunges into the Alaskan wilderness. But his frustrations have only begun as he finds himself stranded with the injured, and superhot, pilot, a man who’s endearingly sociable—and much too young for Reuben to be wanting him this badly. As the sole provider for his sisters and ailing father, Tobias Kooly is devastated to learn his injuries will prevent him from working or even making it back home. So when Reuben insists on giving him a place to recover, not even Toby’s pride can make him refuse. He’s never been tempted by a silver fox before, but something about Reuben is impossible to resist. Recuperating in Reuben’s care is the last thing Toby expected, yet the closer they become, the more incredibly right it feels, prompting workaholic Reuben to question the life he’s been living. But when the pressure Toby’s under starts closing in, both men will have to decide if there’s room in their hearts for a love they never saw coming. To ask other readers questions about Arctic Wild, please sign up.